1. 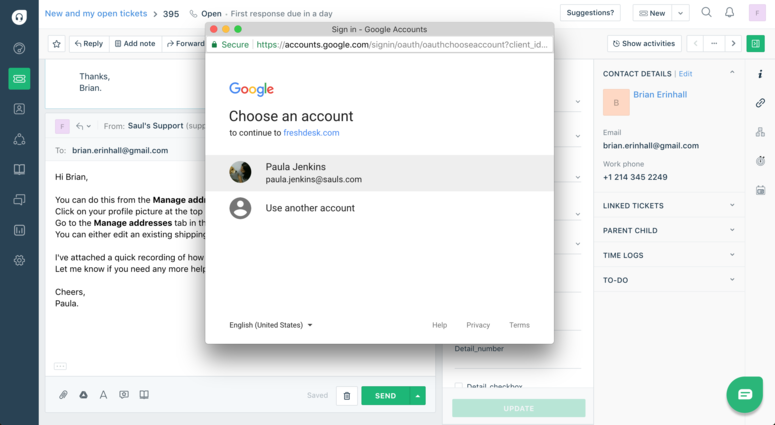 Each agent can link their Google Drive accounts to their Freshdesk accounts and use Google Drive's features to share documents and resources with customers. 2. 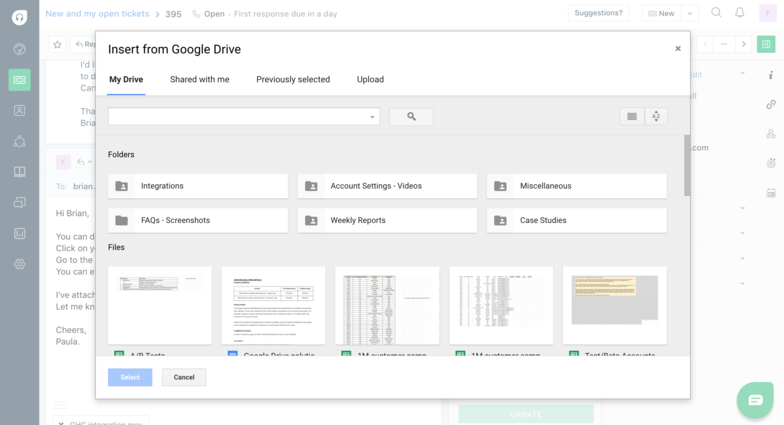 Attachments made from Google Drive aren't stored in Freshdesk. They are hot linked from the original source, thereby removing file size restrictions and file upload difficulties for agents.